Keep it minimal with a soft touch of pink. 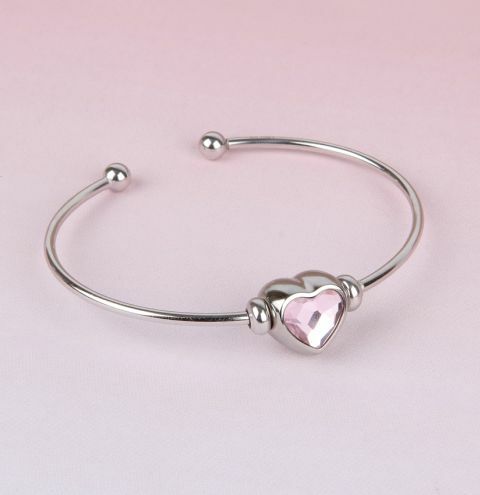 Combine Swarovski's beautiful Rosaline Heart BeCharmed bead on your sterling silver bangle base for a truly feminine look. The perfect gift for your loved ones at Valentine's. Unscrew the ball end of the bracelet base. Slide off one of the stopper beads and place your BeCharmed bead onto the middle of the bracelet. Return the stopper bead and press them tightly against either side of the heart bead. Screw the bracelet ball end back onto the bracelet base.